or earbuds which are not included in the kits. Buy your child's 2018/19 school year school supply kit from our sale now and don't worry about running around to the stores trying to find the items during the Summer. All kits are supplied by SchoolKidz (a Staples company). They are customized for each grade, they contain high quality products, and, because we buy in bulk, they are very competitively priced. Plus, for each kit purchased, the MPHSA receives a proceed that will benefit our schools! Click on the appropriate links below to review the 2018/19 school supply lists. See what the schools are requesting, what's included in our kit, and the kit price. 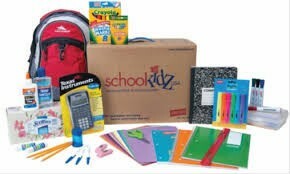 Go to www.shopttkits.com and enter school code 73642 to order your school supply kit on-line. All kits must be ordered by (end of day) on June 22, 2017. No order deadline exceptions can be made. Pick up your kit from the week of August 27th. Specific details on pick up location, dates and times will be emailed to you during the week prior. You can have a friend or family member pick up your school supply kits for you, just let us know ahead of time. and posted in backpack mail. Thank you to all that ordered!